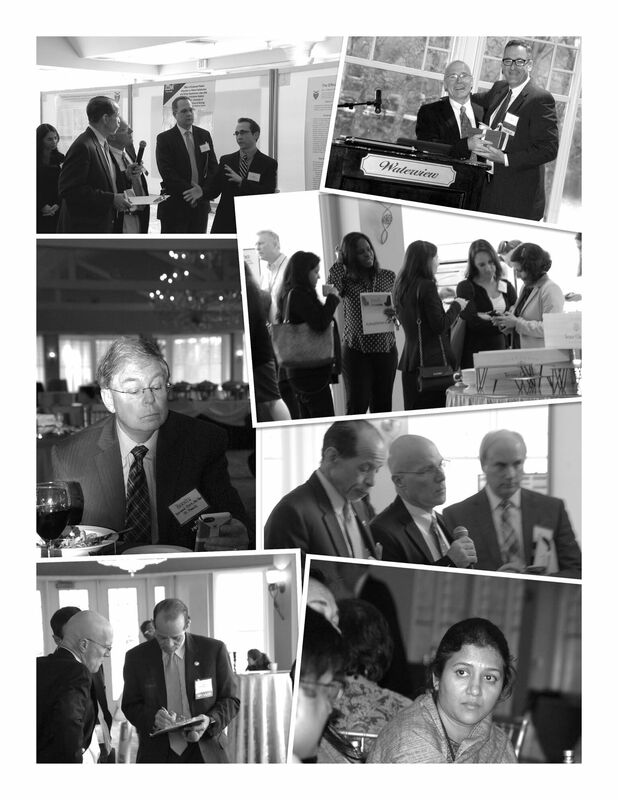 On April 26, 2017, over 100 healthcare providers and industry sponsors enjoyed the 25th Annual Meeting and Scientific Session of the Connecticut Chapter of the American College of Cardiology (CCACC). The evening meeting included remarks from out-going Chapter President & Governor, Dr. Edward Tuohy, and incoming President & Governor, Dr. Kevin Kett. 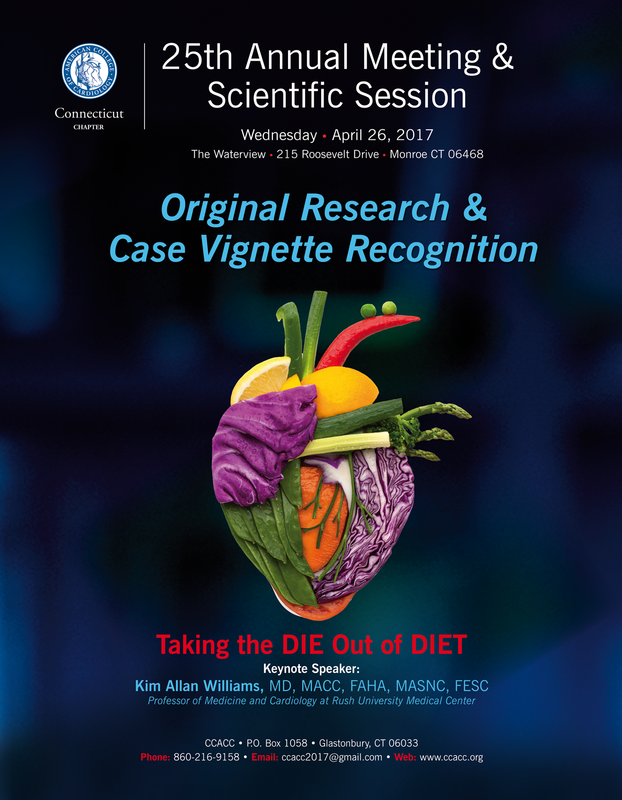 Dr. Kim Williams, an internationally renowned authority on diet and cardiovascular disease, then provided a stimulating review, peppered by his personal vegan experience, of the benefits of a plant-based diet on cardiovascular health. 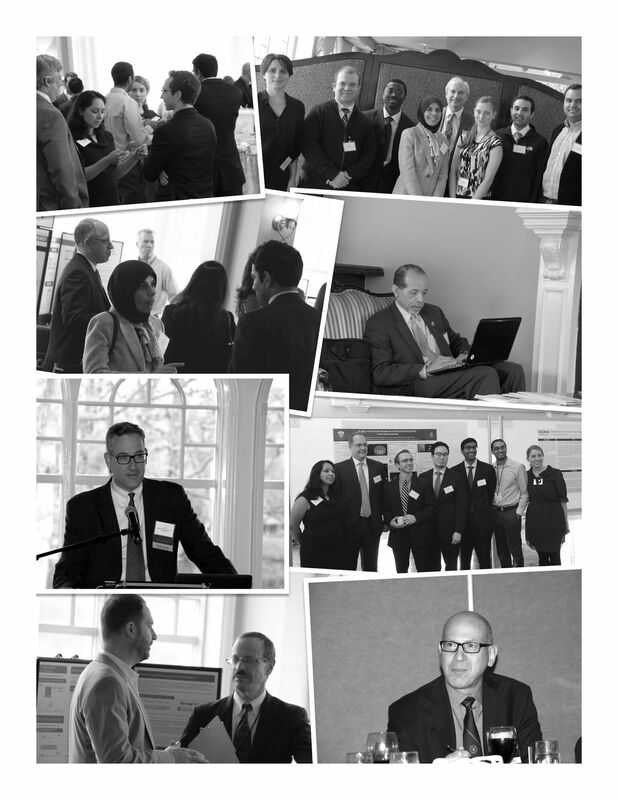 Based upon feedback of attendees, the day was enjoyed by all. We thank the members of the Education Committee of the CCACC (page 3) for their diligent efforts in planning the meeting, the staff of The Waterview for excellent hosting, and the members of industry who provided valued support of the event (their names and corporations are listed on the back cover). We hope you will join us for next year’s Annual Meeting at The Waterviewin Monroe, CT on Wednesday, April 11th, 2018 when our featured speaker will be Paul M. Ridker, MD, MPH, FACC, FAHA, Eugene Braunwald Professor of Medicine, Harvard Medical School, Brigham and Women’s Hospital.